Roker Park was Sunderland AFC's 6th football ground. It was opened on the 10th September 1898 and remained Sunderland's ground for 99 years. 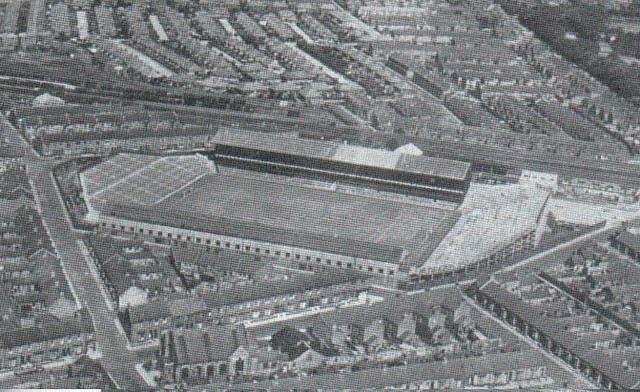 The stadium was further developed, with the Roker End being concreted in 1912, and a new Main Stand was built in 1929. In 1943, during World War 2, part of the stadium was destroyed in an air raid. 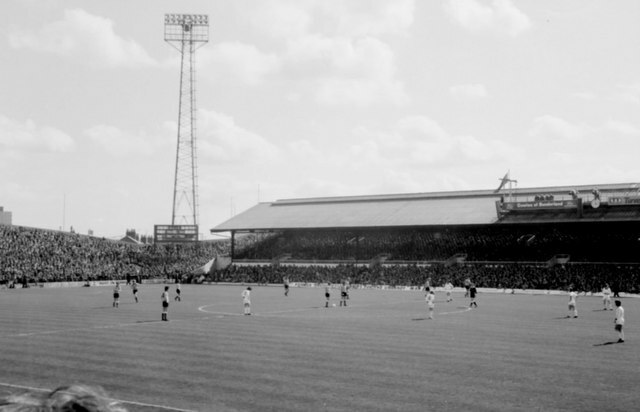 The ground was extensively renovated for the 1966 World Cup when three group matches and the quarter-final were played at Roker Park, with seats installed at the Clock Stand and a roof added to The Fulwell End. By the 1990s the stadium was no longer large enough, and following the Hillsbrough Disaster in 1990 the Taylor Report recommended that all major stadiums be converted to all-seaters. Therefore in 1997 the club moved to the new all-seater Stadium of Light in Monkwearmouth. Roker Park was demolished in 1997 and the land was used for a new housing estate. Roker Park was an English football stadium situated in Roker, Sunderland. The stadium was the seventh home of the English football club Sunderland A.F.C. from 1898 to 1997 before the club moved to the Stadium of Light. Near the end of the stadium's history, its capacity was around 22,500 with only a small part of the stadium being seated. The stadium's capacity had been higher in previous years, attracting a record crowd of 75,118. In the 1890s, the then Sunderland chairman and his brother decided to build a bigger ground for the club, to replace what was then the club's current ground at Newcastle Road. The club had negotiated to buy farmland that belonged to a Mr. Tennant and part of the agreement was that Sunderland would have to build a house on the site as well as their new stadium. Until this house was built, Sunderland still had to pay rent on the land. Within a year of the land being bought, Roker Park had been built, with the wooden stands only taking three months to build. The Clock Stand had 32 steps, no seats and a crush barrier for safety. The turf was brought from Ireland, and lasted for 38 years. The pitch was designed to have a slight drop of about one foot from the centre of the pitch to each corner to help with drainage. On 10 September 1898 Roker Park was officially opened by Charles Vane-Tempest-Stewart, 6th Marquess of Londonderry. The first match at Roker Park was a friendly against Liverpool which Sunderland won 1–0, with Jim Leslie scoring the stadium's first ever goal. The Roker End was concreted in 1912, and by 1913 the capacity had risen to 50,000. 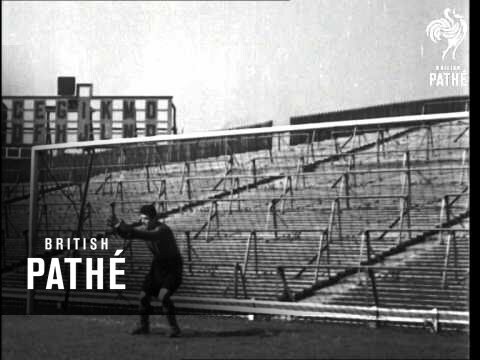 In 1929 the old wooden grandstand was demolished and replaced by a new Main Stand, which was designed by Archibald Leitch, whose influence, the criss-cross lattice work, can still be seen at Ibrox (Rangers), Home Park (Plymouth Argyle) and Goodison Park (Everton). Fragments of the iconic lattice work would later be used to separate parts of the car park at the Stadium of Light. The work on the new Main Stand nearly bankrupted the club. By this time the official capacity of Roker Park was 60,000 but at some matches they would have crowds as large as 75,000. More work continued in the 1930s and in 1936 the Clock Stand was rebuilt. The 114 m (375 ft) long structure was officially opened by Lady Raine, whose husband was Sir Walter Raine, the Chairman of Sunderland AFC at the time. A bomb landed in the middle of the pitch during the Second World War, killing a policeman who was walking past the ground. In 1952, Roker Park was fitted with floodlights, being only the second ground in the country to do so after Arsenal's Highbury stadium. The lights were only a temporary addition, and were replaced by permanent structures at the end of the season after proving to be a success. 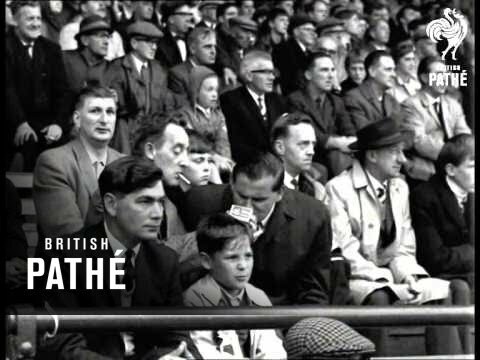 When England hosted the 1966 World Cup, improvements were made to the Clock Stand, involving the addition of seats, and a roof over the Fulwell End. Temporary seating was also installed in the Fulwell End. 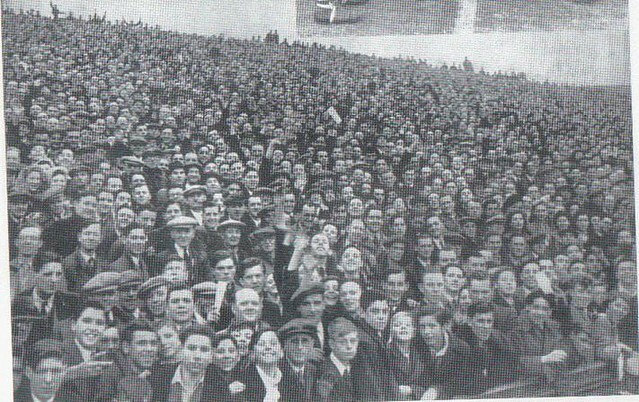 The capacity of Roker Park during the World Cup was 40,310. 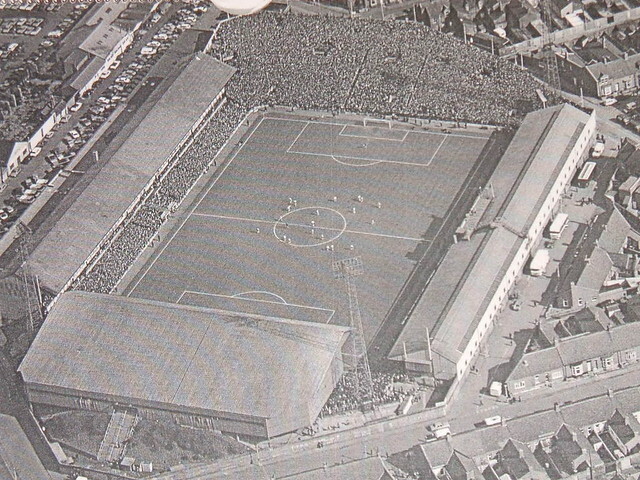 In 1955, Roker Park hosted an FA Cup Semi-Final replay, between (eventual winners) Newcastle United and York City, who were then in the third tier of English Football. Newcastle won the game 2-0 in front of a crowd of 55,239. Sunderland were in the other semi-final, but lost out 1-0 to Aston Villa. During the 1970s, there were even more improvements to Roker Park. These improvements included installing underground sprinklers, upgrading the floodlights to European Standard Lux Value, installing electronic crowd monitoring systems, and re-sheeting the roof. In the 1980s, with a downturn in the club's fortunes (which included a season in the Football League Third Division), Roker Park started to decline. The capacity was severely reduced following the report in the Hillsborough Disaster of 1989, with the Roker End suffering the most. In the early 1990s, new Football Association (FA) rules following the publication of the Taylor Report meant the stadium would have to have been upgraded to all-seater status, which would have consisted of a much smaller capacity than the sort of attendances that Sunderland could expect, as they had played in the penultimate First Division campaign (1990–91 season) before the creation of the Premier League and were aiming for a swift return to the top flight (although promotion was ultimately not achieved until the 1995–96 season).The site was too confined for expansion so chairman Bob Murray decided to look for a site for a new stadium. In 1992, plans were unveiled to build a 48,000-seat stadium near the Nissan car factory in Washington, which would be part of a mega leisure complex, but Nissan objected to such a site being developed near their headquarters. Instead, five years later in 1997, Sunderland moved to the Stadium of Light, in nearby Monkwearmouth, on the site of the closed Monkwearmouth Colliery. 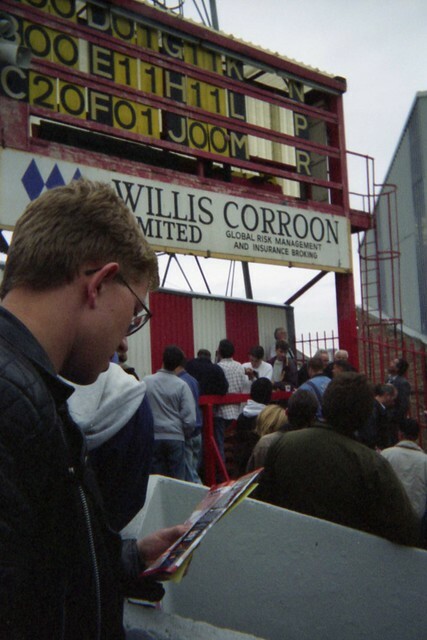 The 1996–97 season was the last at Roker Park, which was also Sunderland's first ever season in the Premier League, ending in relegation for the club. The last competitive match at the ground was a 3–0 victory over Everton. In a special ceremony after the final farewell game (coincidentally, also a 1-0 win against Liverpool in which Sunderland midfielder John Mullin scored the stadium's final goal at the Fulwell End) Charlie Hurley (voted the club's Player of the Century) dug up the centre spot of the ground for it to be planted at the new stadium. Following the move to the Stadium of Light, Roker Park was demolished and in its place was built a housing estate. 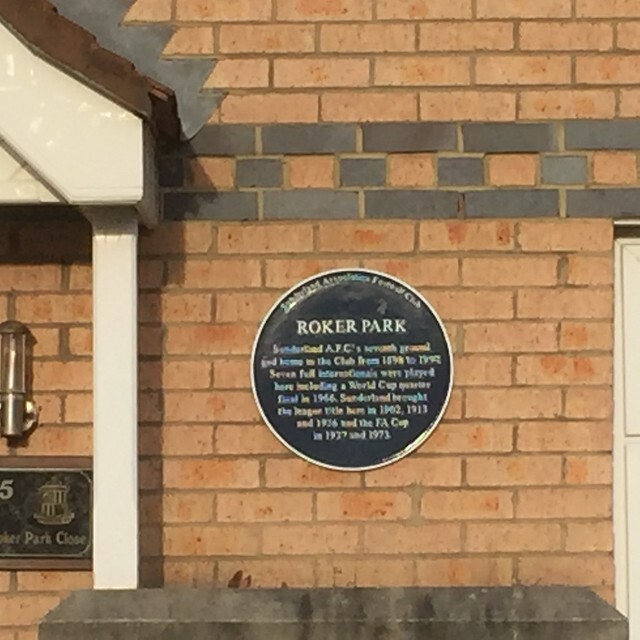 To commemorate Roker Park, the streets were named Promotion Close, Clockstand Close, Goalmouth Close, Midfield Drive, Turnstile Mews and Roker Park Close. Roker Park hosted the first of three full England internationals in 1899; a 13-2 victory over Ireland in the 1898–99 British Home Championship - the highest scoring game in the history of the tournament. 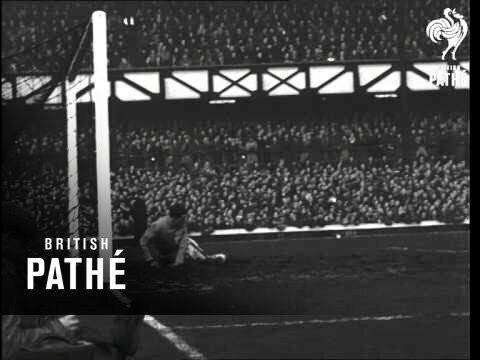 Further Home Championship games were played at Roker Park in 1920 (v. Ireland) and 1950 (v. Wales), England winning both games. Three England B games were played at the ground, in 1954, 1980 and 1990. 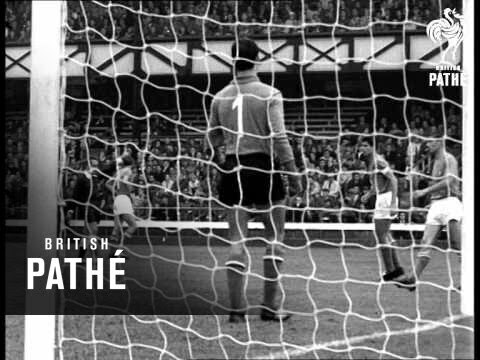 Roker Park also hosted four youth internationals - England U23 games in 1959 and 1970, and England U18 games in 1952 and 1956. The 1970 England U23 game against Scotland was abandoned due to snow after 60 minutes with England leading 3-1. 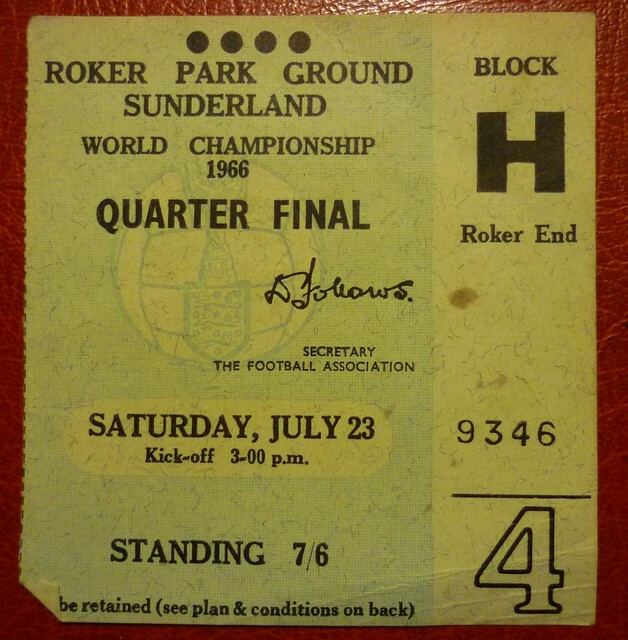 During the 1966 FIFA World Cup, Roker Park hosted three group stage games in Group 4, along with Ayresome Park and a Quarter Final game between the Soviet Union and Hungary. The biggest World Cup attendance at the ground was 27,793 for the group stage game between the Soviet Union and Italy. Text from Wikipedia, available under the Creative Commons Attribution-ShareAlike License (accessed: 25/11/2018). Visit the page: Roker Park for references and further details. You can contribute to this article on Wikipedia.